Watch for Coho Salmon to Arrive Soon! Summer is going by entirely too fast! It’s easy to tell where we’re at in the summer calendar by watching when salmon runs start and others fade into recent memories. While our summer days may be shortening, the Division of Sport Fish continues to work throughout the year to encourage more folks to join with their family and friends in enjoying time together sport fishing. We often ask ourselves why some choose to temporarily, or even permanently, hang up their fishing rods, or even not take up sport fishing. You don’t have to look far to see all the distractions that might keep us from picking up a fishing rod. Probably one of the most obvious is our electronics. It seems that everyone has a phone or tablet with them, no matter where they are. In this issue of wefishak Reel Times we’ve provided links to two videos introducing you to fishing for coho or silver salmon using a slip bobber set-up; we’ve provided three regional fishing spots when looking for a family-friendly area to fish in August, and outlined what anglers need to do if they choose to use an electronic copy of their fishing license when out fishing this fall. 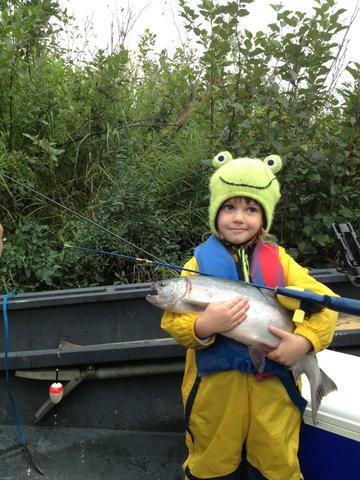 Don’t forget to check out these youth-only fisheries in Southcentral Alaska! If it’s August, there must be cohos in the rivers! August is a great month to get out and fish for silver (coho) salmon. Adult coho returning to spawn in freshwater are a very popular salmon to target on rod and reel – known both for their fighting abilities and for good table fare. While there are various ways of targeting adult coho in freshwater one method that is particularly effective is using a slip-bobber set-up. Slip-bobbers are easy to rig and can be used with bait (where legal; check regulations) or jigs. It is August in Southeast Alaska, and that means it is time to finish your summer saltwater fishing adventures on a high note. During this time, coho salmon, or “silvers” as the locals call them, abound in the marine waters of Juneau. As coho make their way back to their natal streams, fishing for these aggressive and acrobatic fish can be a fun way to spend the day. As one drives or hikes along the road system near downtown Juneau or Douglas, the marine waters of Gastineau Channel seem to be filled with jumping coho. Seeing these large salmon jump in to the air is irresistible to the novice and avid angler alike. Most of these coho range in size from 8 to 12 pounds with some sizable fish that reach up to 20 pounds. When targeting these salmon, anglers will use spinners, spoons and flies in bright colors. The most popular being orange, pink and chartreuse. No boat, no problem; you can easily target coho from shore. It is simply a matter of accessing the estuaries and saltwater shorelines of Gastineau Channel via hiking or driving. All the locations are close to downtown Juneau and are easy to find. There are several access points that are open to the public and easy for anglers of any age to get to. On the mainland, major access points include Sheep Creek, Whale Park, Macaulay Hatchery, Salmon Creek and Lemon Creek. 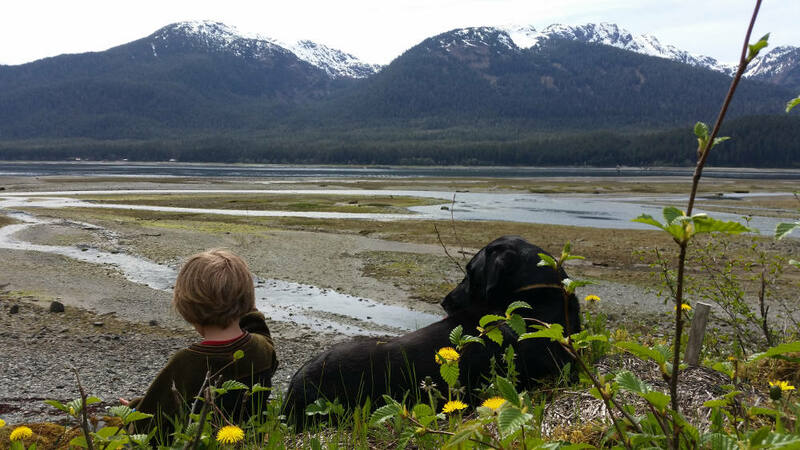 To get to Sheep Creek, simply go down Thane Road south of downtown Juneau and fish the intertidal flats. Whale Park is located under the Juneau-Douglas Bridge and known for its life-size breaching humpback statue. Macaulay Hatchery is located near the end of Channel Drive just a couple miles north of downtown Juneau. Salmon Creek and Lemon Creek are located on the north end of Gastineau Channel and can be accessed with pullouts from Egan Drive (Juneau’s main thoroughfare). On the Douglas Island side of Gastineau Channel popular access locations include 2.7-mile North Douglas and 9-Mile. These locations are accessed via pullouts along North Douglas Hwy with trails that lead to the water’s edge of Gastineau Channel. With all these locations providing access to bright saltwater coho in Juneau, August is the time to get out there and catch these energetic, jumping fish in the marine waters along the Juneau-Douglas road system. 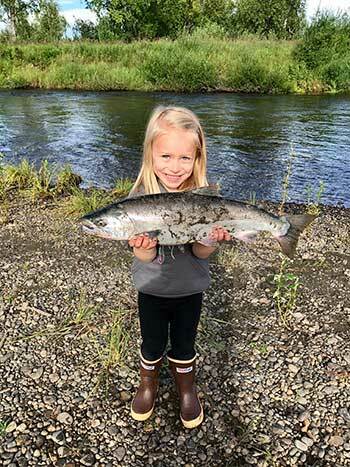 For more information about fishing opportunities near you, stop by your local Alaska Department of Fish and Game – Division of Sport Fish Office or visit our website. Little Lost Lake in the Quartz Lake State Recreation Area is an excellent summer fishing destination. The lake is very productive and stocked fish grow quickly. Though Little Lost Lake covers 102 acres, it is only nine feet deep making it too shallow for fish to survive the winter. To avert a winter kill, ADF&G encourages summer harvest of the stocked trout. To get to Little Lost Lake: From Fairbanks, head South on the Richardson Highway to Mile 277.8. Turn left on Quartz Lake Road and travel 2.2 miles. Turn left on the Little Lost Lake Access Road. Our recommended baits are salmon eggs, shrimp, or nightcrawlers on a colored hook. Lead-headed jigs with a little bit of bait on the hook works well too. Tip: Most fish use the senses of sight, sound (vibration), & smell to locate food. Attracting fish to your hook by targeting two or more of these senses should help to increase your catch. Smell: use oily bait that gives off good scent such as squid, shrimp (not cooked), salmon eggs, or Power Bait. August is here, and with it comes coho salmon fishing. If you haven’t got your salmon for the season, coho salmon can fill that empty space in your freezer! The first cohos, pinks and chums are beginning to show up in the Parks Highway streams for the season. This can be a great opportunity to get the family out fishing before the cold weather arrives. 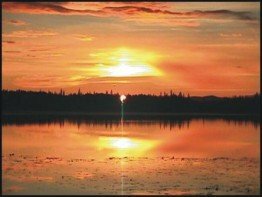 The mouths of Willow, Sheep and Montana creeks and many other tributaries of the Susitna River have great access for fishing. As cohos, pinks and chum move into these waters, they will spend some time at the mouths of the creeks before making their journey back upstream to where they were born. They are known to be quite aggressive and can be caught on hardware such as spinners and spoons and bait below a bobber. Fly fishing with larger, brightly colored flies can entice salmon as well! If you are looking for a place to camp and fish, Willow Creek is easily accessed through the Willow Creek campground. The mouth of the creek is just a short walk from the camping and parking area. Currently, bait and multiple hooks are allowed in the section of Willow Creek from the mouth upstream to the Parks Highway. Look for the line where the silty water of the Susitna mixes with the fresh water of the creek, salmon tend to mill in this section before heading upstream. Drifting bait under a bobber is a very effective way to catch coho salmon. Throwing spinners and spoons works well here too. These techniques can be used at all creek mouths open to fishing and bait on the Parks Highway. Be sure to know your salmon identification! Fishing for king salmon is closed in this area so if you do catch a king salmon it must be released while still in the water. The Parks Highway streams have more to offer than just salmon, too! If you are more interested in trout fishing, rainbow trout and Arctic grayling fishing can provide great fun for the whole family. Small egg imitations, and insect patterns, as well as smaller spinners can produce beautiful Arctic grayling and rainbow trout. Remember to check your 2018 Southcentral Regulations Summary booklet before heading out. The retention of rainbow trout and Arctic grayling is closed in all waters within a ½ mile radius of its confluence with the Susitna River. Get out and go fishing. Together. 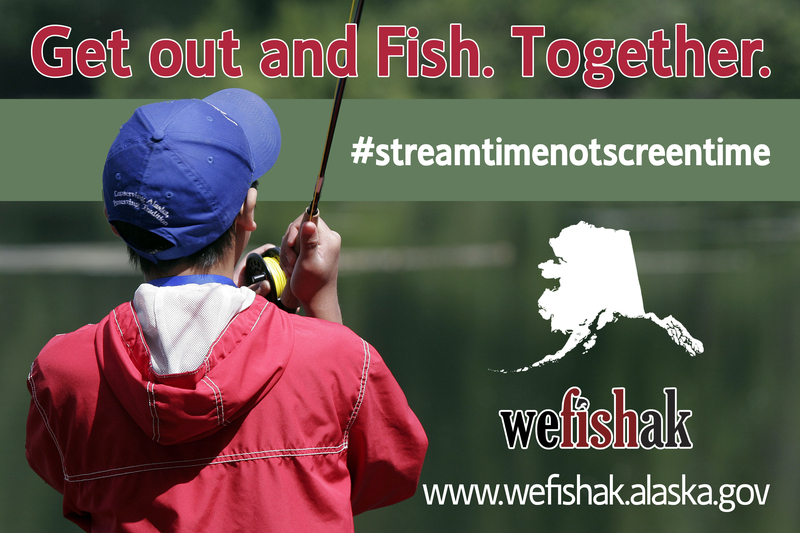 Don’t forget to share your fishing stories #wefishak. Gov. Walker recently signed in to law, HB-260 sponsored by Rep. Saddler (R- Eagle River) that contained provisions allowing a person holding a valid Fish and Game sport fishing, hunting or trapping license to display a valid digital copy of their license on a personal electronic device when in the field. While legal to carry a digital copy, the department is encouraging all 2018 license holders to continue to carry their paper licenses in the field until a fully functional digital license app is developed. The license holder has purchased and signed, in ink, a current year license attesting to citizenship and residency. The license holder takes a digital scan or photograph of both sides of the signed paper license and saves the copy to their personal mobile electronic device. If the sport fishing license holder chooses to use a digital copy of their license and participates in a fishery where an annual limit has been established, they must possess, and have on their person, an ADF&G nontransferable harvest record card in paper form when taking and retaining finfish. For licensed anglers, a harvest record is provided on the backside of their paper license. An angler using a digital copy of their license and who lands a finfish that has an established annual limit, the angler must immediately enter the date, location (body of water fished) and species of the catch in ink on the harvest record. The harvest record must remain in the angler’s possession while fishing along with the digital license copy. HB 260 also includes a provision that allows for a correctable citation. Currently, if a hunter, angler or trapper is checked by a Wildlife Trooper or other law enforcement officer, and they do not have their current valid hunting, fishing or trapping license on their person in the field they can be cited, resulting in a fine. Effective July 1, 2018, a person cited for not having their license on their person can have the citation dismissed if they provide proof, within 30 days, to the arresting or citing agency that they did, in fact, have a valid license at the time of the citation. If the arresting or citing agency find this to be the case, then the citation can be dismissed. The legislation does not change the requirement that hunters, anglers and trappers must have their valid license on their person. Over the coming months the department intends to begin work on a mobile application to make it easier to carry a digital license in the field. This month’s scrumptious recipe is brought to you by our friends and the Alaska Seafood Marketing Institute.